Stable IT supplies Yardman invoicing & stable management software and website services, specialising in the thoroughbred industry. 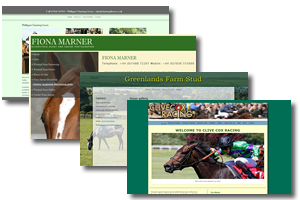 Yardman software is an invoicing and stable management program for use in racing stables, stud farms, livery yards - in fact, anywhere where you have a number of horses, especially those owned in partnerships. Chosen by leading trainers in the UK, Ireland, Europe and beyond, Yardman is reliable, affordable and easy to use. Whether you are big or small, just starting out or been in business for years, Yardman delivers real value. Stable IT can supply a full range of website services, including initial design and build, maintenance and updating of existing sites and website hosting and email packages. We build responsive, mobile friendly websites that you can edit yourselves. Whatever your requirements, we understand your industry and deliver what you want, on time and on budget. 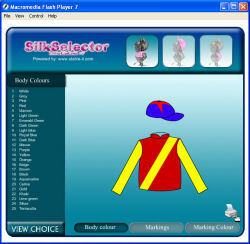 Designing racing silks or jockey colours? Use SilkSelector to try out your designs. Use StableCardMaker to design your own stable door cards with owner's colours - just champion!